Today I've got three cards for you. They all have a few things in common: Altenew's Striped Leaf Cover Die, they are all 'thank you' cards AND they have all been made without a single stamp set in sight! Curious? Let's get to it then, shall we? 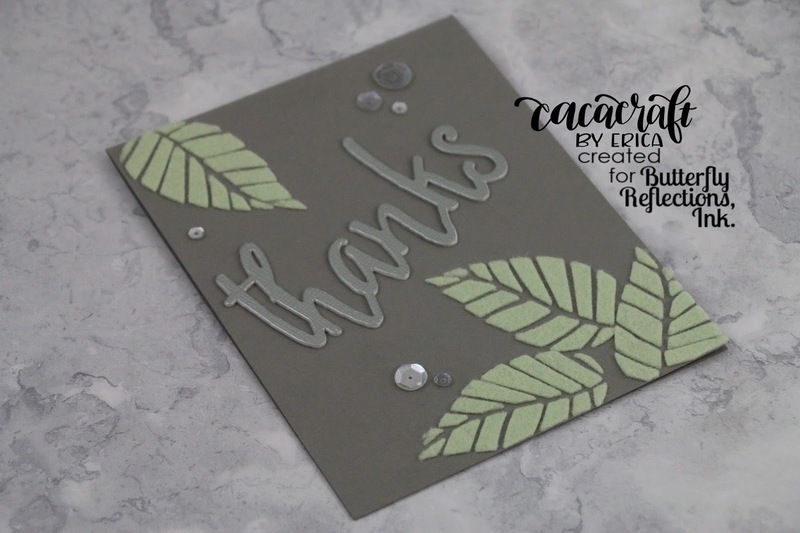 For my first card I used the cover die as a stamp by inking it up with Altenew Lava Rock dye ink and then pressing down on slight grey cards stock. 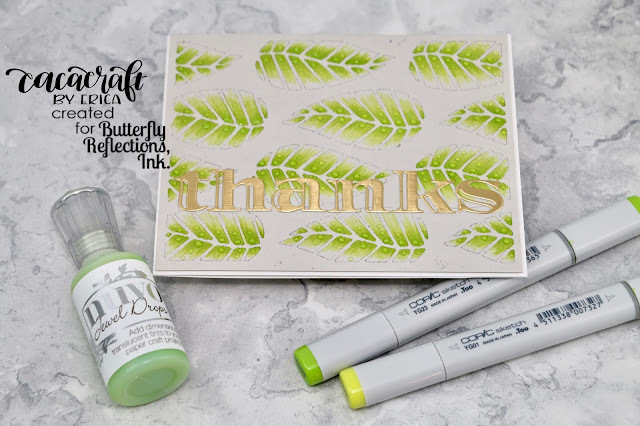 It didn't make a perfect stamped image, of course, BUT it was good enough! 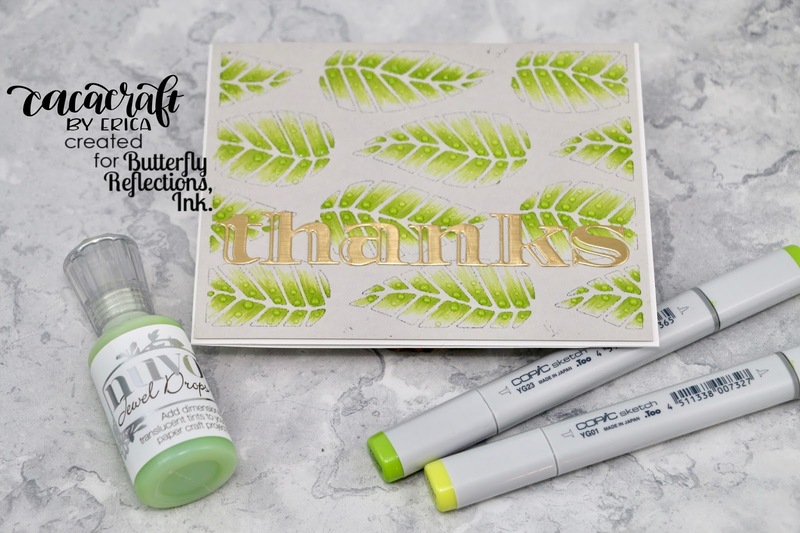 I added some details to each leaf petal with some Copic markers, YG01 and YG23. To add some extra details I also dabbed some Nuvo Jewel drops in Key Lime on each one, kind of like dew drops. 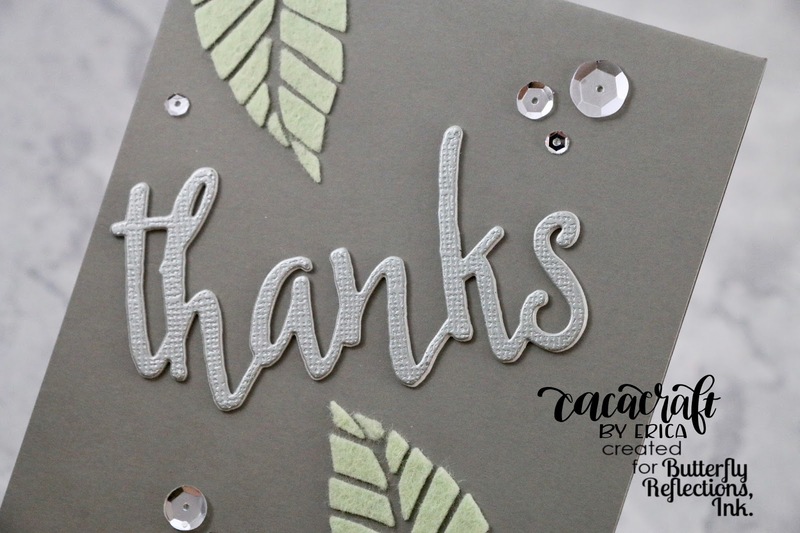 I wanted to keep it simple sentiment wise so I just cut out the word 'thanks' in Brushed Gold card stock, using Altenew Inline Alpha Dies. I trimmed down the panel a tiny, tiny bit and added it to a white card base. Using foam tape of course. For my second card I used the cover die and some light green felt, which I had added double sided sticky tape to. I apparently picked to a very thin felt as it kind of fell apart a little bit. Next time I will try a nice thick felt, like the ones from Taylored Expression. 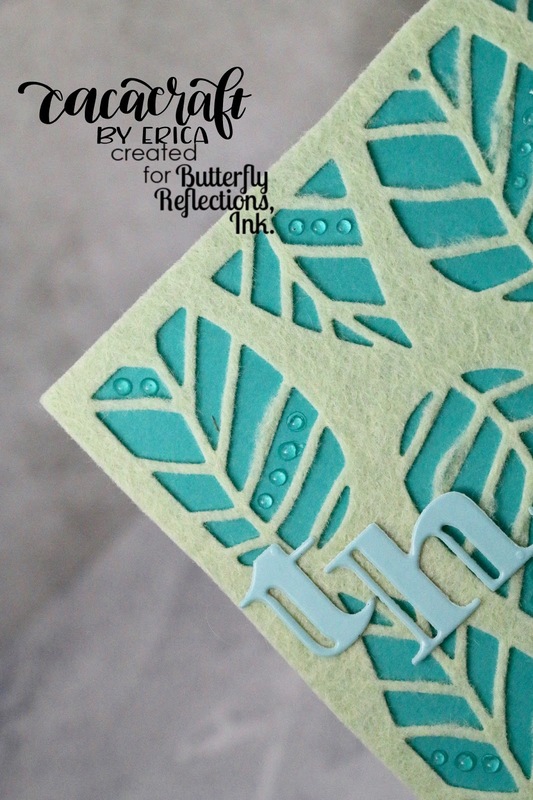 After A LOT of fiddling I managed to add it to a turquoise card base, Lawn Fawn Mermaid card stock. It's not straight and it's not particularly tidy in places but hey, for a first try it's not my worst work. As per usual I couldn't leave it alone and had to add some Nuvo Jewel drops to this one too. 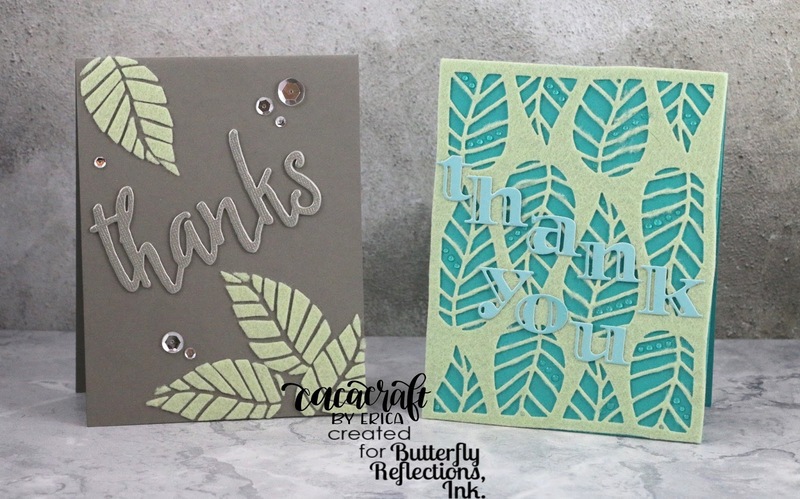 These are done with Sea Breeze to match the card base. 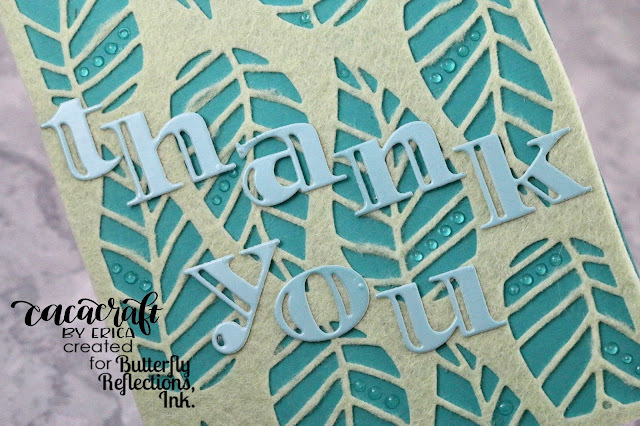 To spell out 'thank you' I got the Inline Alpha Dies out again and cut them out of a bit of packaging I had left over from a box of Lindt chocolate balls with Coconut flavour (these are AMAZING!!) because it is a lovely light blue/aqua colour. 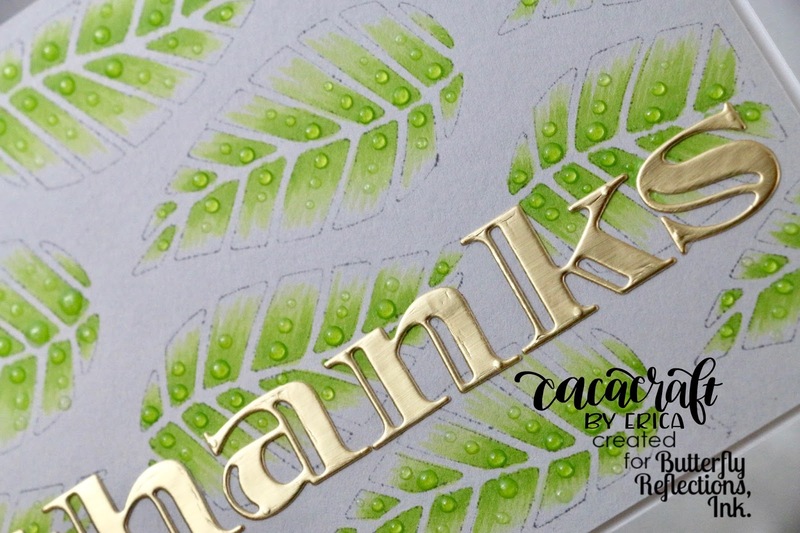 The letters were added to the card base with some Glossy Accent and with that the second card was done. My last card looks simple. Please hear me when I say that it 'LOOKS' simple... It really wasn't... Oy vey, this one gave me a headache. There must be a simpler way to do it but if there isn't, save this for a day when you feel very patient and have lots of time on your hands. All the little bits from the cover die had to be separated and puzzled together to form the leaves and then individually added to the card base. Luckily they all had that double sided sticky tape on them already. Sadly, due to the inferior quality of the felt, it was difficult to peel off the protective layer. Yeah, this card was giving me trouble from the beginning! 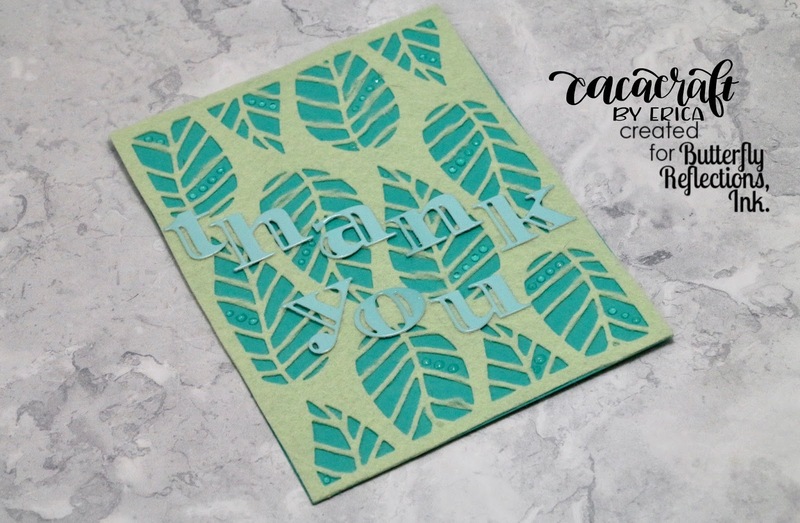 After successfully adding four leaves to the card, I actually decided to stop there even though the card could (and maybe should?) have had another one or two added. 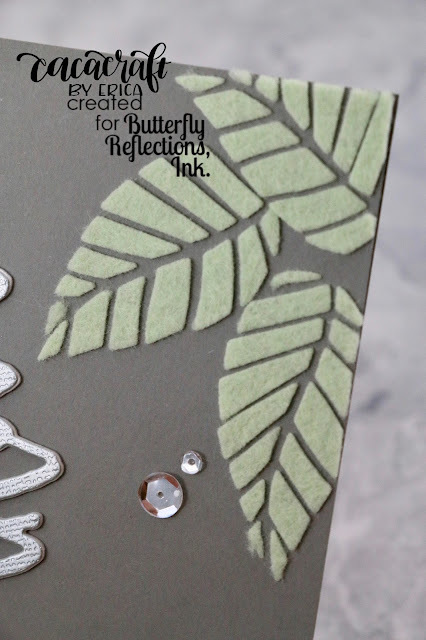 As the card base is grey (it's made out of Lawn Fawn Narwhal card stock) I thought a silvery sentiment would go nicely. 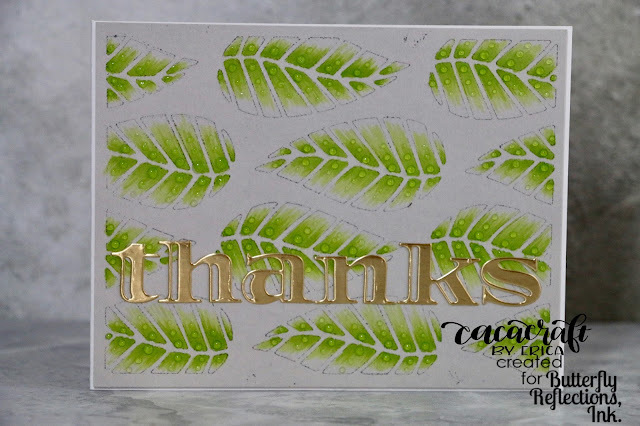 I used Altenew's Thanks Die and cut it out of hammered silver card stock as well as one in foam sheet to raise it up and add some dimension! A few Sparkly Clear sequins from Pretty Pink Posh and the last card was done! I love cards that you can use both the positive and the negative diecuts for, it feels great to not waste anything. Even when it ends up being a fiddly job. Well, that's it from me for today. I hope I have inspired you to try one or all three of these techniques.